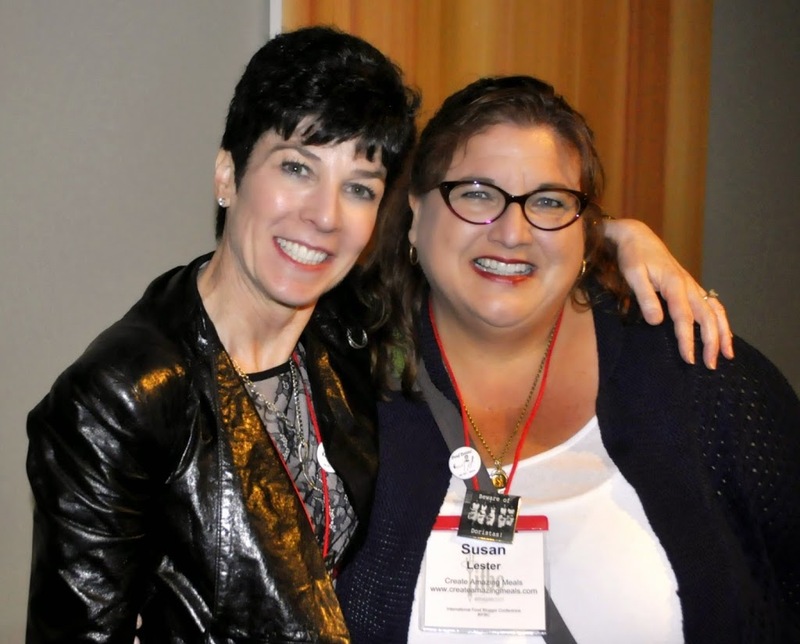 Liz and me at the International Food Bloggers Conference in Seattle a year ago! Liz, of That Skinny Chick Can Bake, was one of my very first blogging friends. I was honored when she asked me to partner with her on creating this very special celebration for French Fridays With Dorie! First, and foremost, we’re celebrating our Grande Dame Dorie Greenspan’s birthday! 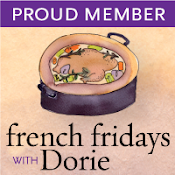 Secondly, this month marks the fourth anniversary of our wonderfully diverse on-line cooking group, French Fridays with Dorie. Many of us have been cooking together for 4 years, and many of us have met in person. And, finally, we are celebrating the release of Dorie’s new book, Baking Chez Moi. If you’re interested in baking your way through this book, you can sign up at Tuesdays With Dorie. Lovely on my French Pastry Stand! Liz and I have bonded over our love of baking, among other things, so we thought a sweet celebration would be just the thing! 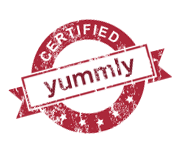 We offered the choice of four recipes from Baking Chez Moi as a preview of things to come. I chose to make the Palets de Dames, Lille Style because they remind me so much of little sweets you’d find in a French bakery. Like many French recipes, they are easier to make than they look. These darling little iced cookies can also be decorated for the seasons, if you wish. 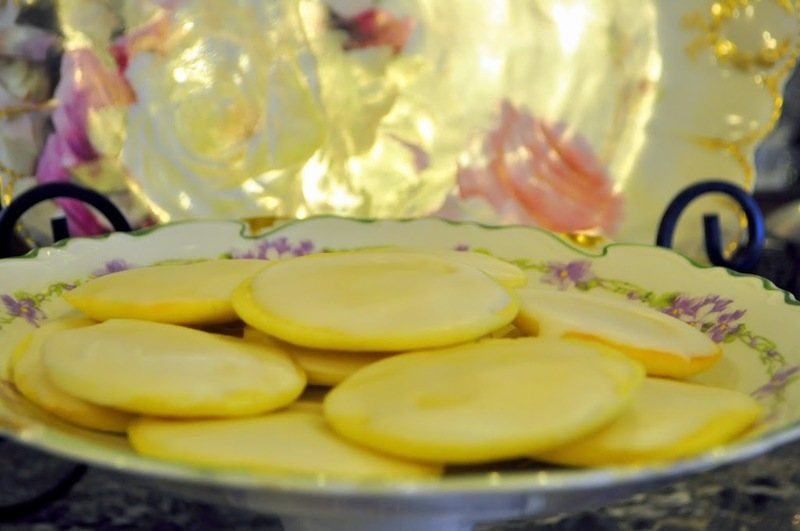 The cookies, themselves, are soft, like little vanilla cakes, then they’re dipped in a simple icing kissed with lemon. These truly belong next to a steaming pot of tea! They are just lovely. I will eventually make them all, but am just delighted with these Palets de Dames, Lille Style. Please take the time to see what our fellow Doristas made for this triple celebration. And congratulations on the release of your new cookbook! Here’s to continuing along the Dorista path! Love the lemon element in your cookie! These were so good, and so easy for Charlie to decorate, that I think we’ll be making them for every holiday we can think up! I SO need to make these cookies – everyone’s look amazing! Lovely post Susan! Your cookies look beautiful! I need to make some of them soon! Happy Friday!! Happy Anniversary! Wonderful idea! Thanks so much for organizing, I’ve really enjoyed the book preview and will likely need to add it to my Chrismtas list. All of this week’s recipes look delicious. Oh, Susan, how can we ever thank you and Liz for pulling this celebration off in such a grande style. (I’ll try to dream up something this Winter.) Your cookies look fantastic – as does everything you bake, cook, and make – and I am glad you loved them as much as I did. John, too? They were much easier than I anticipated. In fact, I think all of Dorie’s recipes are user-friendly. I appreciate that, you know. (Now, a little mush.) You and John were the first FFWD colleagues I met when you agreed to meet me for dinner when I was in So Cal. By the end of our evening together, we were all old shoes. We’ve enjoyed each others company in Seattle and in the Central Coast. We’ve suffered our downs together and celebrated our ups. And, you’re always just a phone call or e-mail away. May the years ahead include more cooking together, being together, and celebrating those ups in the best of ways. Your palets des dames look so delicate and delicious! I can’t wait to try that recipe in the course of cooking from BCM. Your cookies look perfect! I loved these, too. 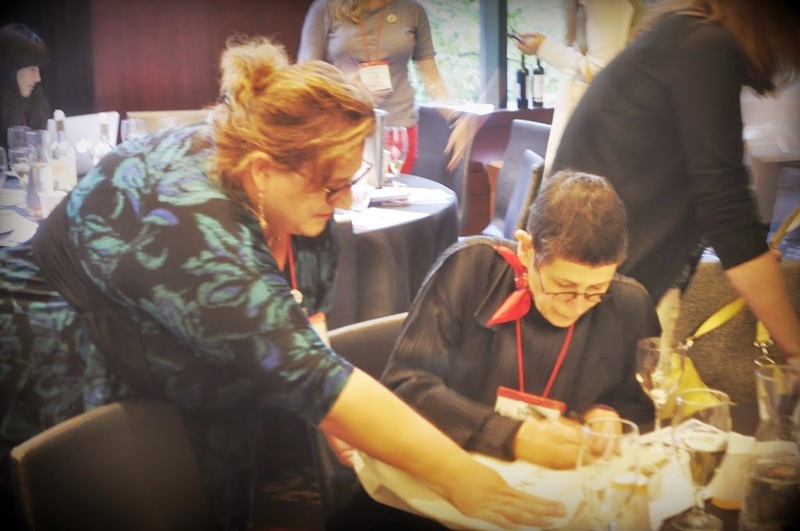 Thank you so much for organizing this – it was a great way to celebrate Dorie’s birthday, the new book, and the beginning of our winding down the final recipes in Around My French Table. Your cookies look fantastic! I’m looking forward to many more years with this great group! I’ve had a lovely time cooking and baking along with you and John over the years and hope for many more! Can’t wait to see if we can all come together for a big Dorie adventure soon! You and Liz did a great job putting this together and your cookies look fab! Have a lovely Trifecta Celebration Day! Happy Trifecta, Susan! I’ve been lucky enough to meet you in person twice! Wish we could share tea and cookies for time #3. Your birthday cookies were a perfect choice. I made these too. I was feeling like I iced mine upside down, but I see you did the same thing as me, so I’m feeling less inept. Thanks to you and Liz for organizing our virtual celebration! Looks womderful! Happy annniversary and happy birthday to Dorie! This was truly a fun week! I managed to squeeze some of these cookie in between some hectic work stuff, and shared the results on my job-site! 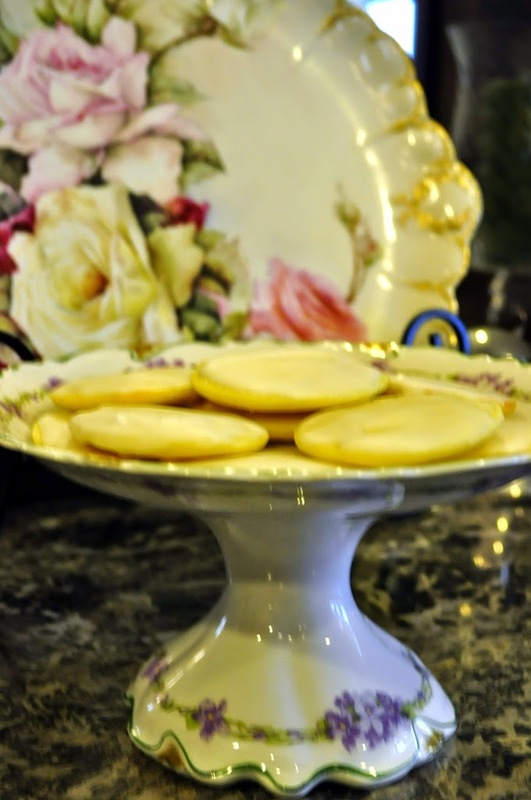 Your presentation is much more lovely, and suitable for these fabulous cookies. I can’t wait to bake the 2nd half of batter I have in the freezer. You are right, much to celebrate!! Well done. When I was in Arizona this week, it made me think that a SoCal trip needs to happen sometime soon!